There's No-One Quite Like Grandma spent a week at number one having knocked Happy Christmas (War is Over) off the top spot, before being replaced by another Lennon tune, Imagine, in the wake of his death. At their peak the choir even performed with Abba, met Margaret Thatcher and sold more than one million copies of the song. In 2009 the group reunited to create a reworked version of the song in aid of Age UK and other charities. And now the singers will come together once again, to appear on a nostalgic, Channel 4 programme, Rewind its Christmas. 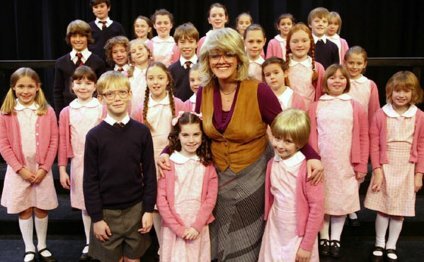 Among the original members are Sally Lindsay, who starred in Coronation Street as barmaid Shelley Unwin, and Jennifer Hennessy, a recurring BBC One and Two actress. Five years ago 14 members of the choir reunited to record a new version of the song for charity Age Concern. The Christmas themed Channel 4 show will include a performance by glam-rockers Slade and The Darkness and an interview with Pogues frontman Shane MacGowan and the family of Kirsty MacColl about the inspiration behind The Fairytale Of New York. In 2009, some of the choir's original members reunited to produce a reworked version of the song in aid of charity. Eileen Brown, who sang alongside her sister in the 1980 hit, recalled chatting with Benny from Abba as an 11-year-old. Tara Daynes, another original choir member, said she was more excited at the prospect of staying in a hotel than she was about performing on Top of the Pops.